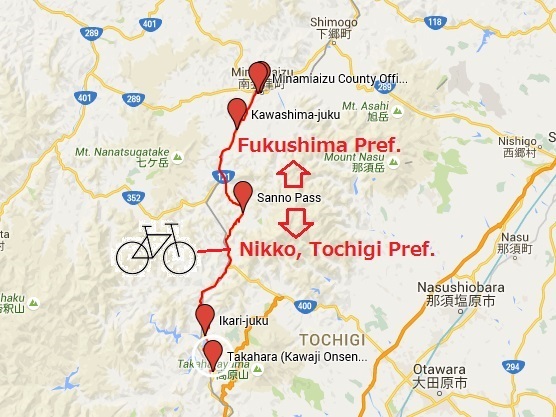 I decided to trace an English woman, Isabella Bird's tracks in Fukushima by riding a bicycle. The total distance is estimated about 150km. 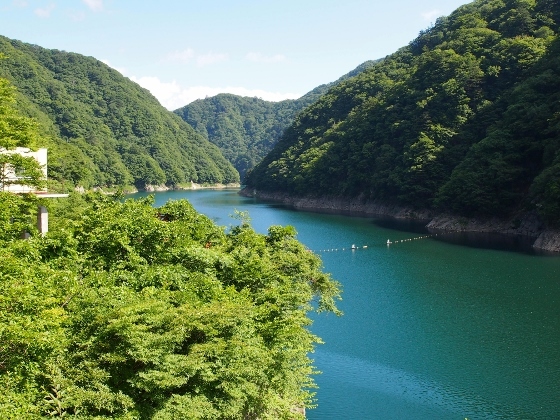 She travelled through Aizu region from south to north between June 26 and 29, 1878. It was only eleven years after Meiji Restoration, when Japan reopened itself to the world. Her transportation was mainly by riding a horse or walking along kaido roads (=old highways) and also along steep mountain ridges as high as 800m above sea level. Today, not all the kaido roads remain, but I tried to go as close as her tracks. 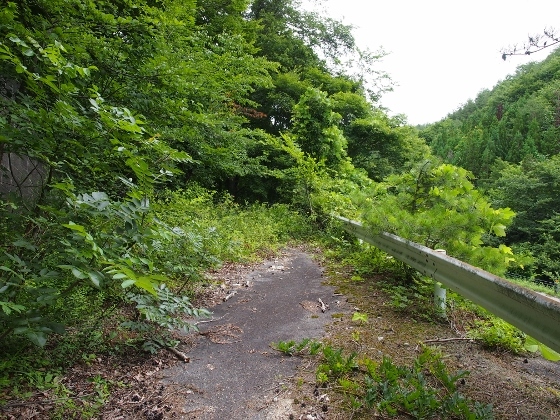 Photo above shows a scene along the old Nikko Highway near Kawashima-Juku, where juku means an old village for lodgings. Isabella Bird's first stay in Fukushima was at Kawashima-Juku. Today, there is no lodging place in this hamlet. 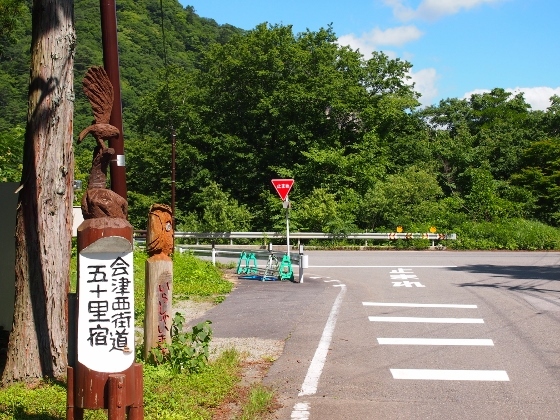 Near Lake Ikari, there once was an old lodging village called Ikari-juku as a sign in the photo above shows. (The sigh says 'Aizunishi Kaido', not 'Nikko Kaido', but these two are the same in this case.) 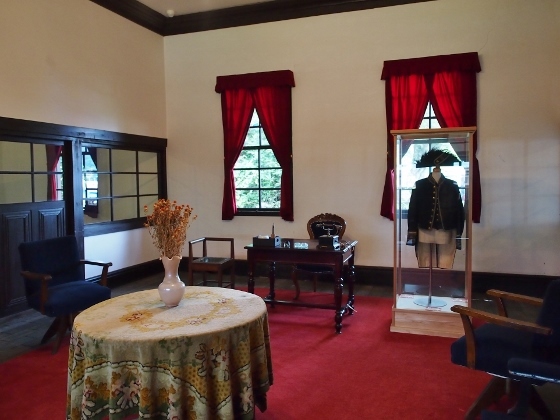 Isabella's last stay in Tochigi Pref. was at Ikari-juku. There are only limited lodging facilities left today, so I chose Takahara for my start. 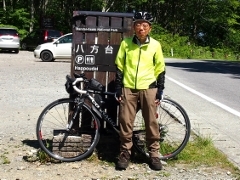 I passed Yokokawa and then came to Sanno Pass. 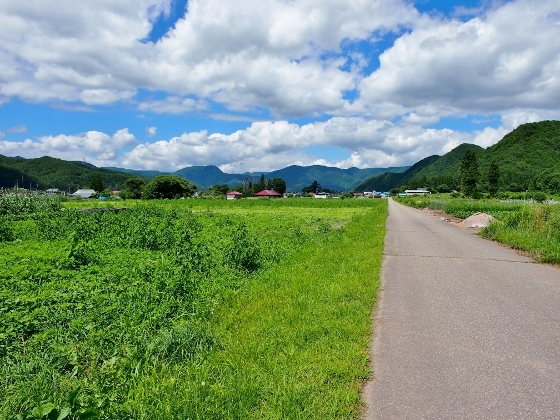 The current Sanno Pass is different from that of the old Nikko Kaido (=Highway). 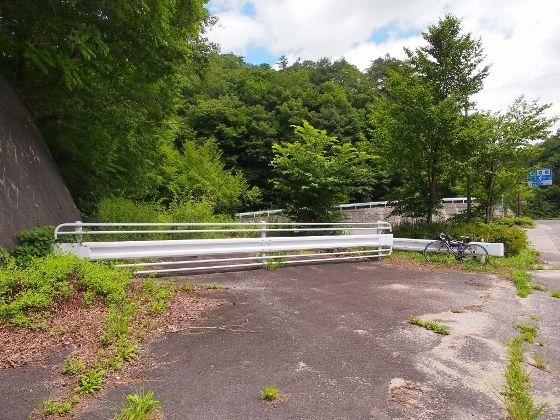 Photos above show a road block for the old Nikko Highway entrance and the abandoned old road hereafter. So I had to give up and pedaled through Sanno Tunnel, which was the current path. After I passed Sanno Pass (860m), I entered into Itosawa district of Minamiaizu Town, Fukushima. Then, I came to Kawashima village. In her book this is referred to as Kayashima hamlet and she stayed a night here. Today, there is neither inn nor ryokan here, so I decided to stay at adjacent large town of Tajima. 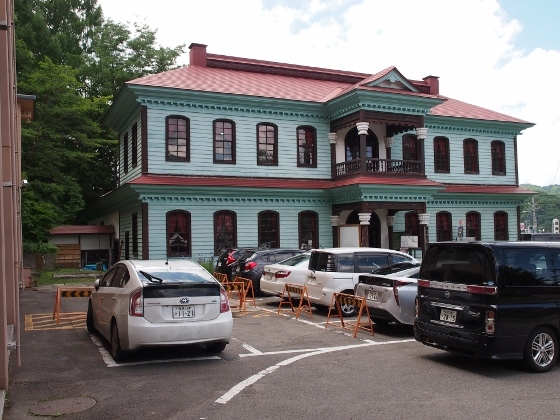 In Tajima, where official name is Aizutajima today and it is a center of Minamiaizu Town, there was an old office building of Minamiaizu County.facing the old Nikko Kaido (=Aizunishi Kaido) as shown above. 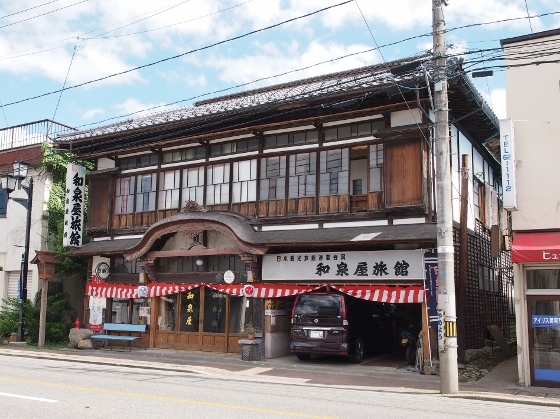 The inn I stayed at Tajima was a historic building which was registered as a National Tangible Cultural Asset and also located along Aizunishi Kaido as shown above. It is called Izumiya Ryocan and this was the second time I stayed here following autumn of 2012. It was a nice inn with very good meal and friendly masters, and with reasonable charge.